GAFIRS Lifeboat crews were today tasked to a 38ft single-handed sailing vessel which had lost power and unable to sail into Portsmouth Harbour. At the time, Gosport Lifeboat was engaged in training within the Harbour when they received the call from HM Coastguard to assist the casualty vessel. 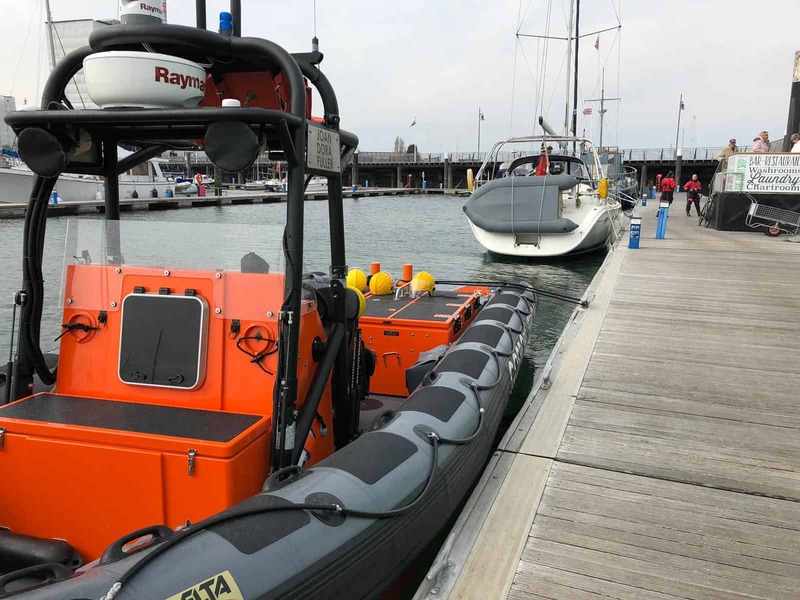 Once on scene, the crews established a tow and took the vessel to safety within Haslar Marina. HM Coastguard’s Hillhead Mobile unit attended to give safety advice to the vessel’s skipper. This was GAFIRS 7th callout for 2019. It was also a great opportunity for one of our trainee lifeboat coxswains James Baggott who jointly commanded the incident alongside a senior coxswain of the service Pete Byford.